Here, seven fantastic soups to make that are perfect for a quick weekday meal. Vadouvan, a French spice blend, is added to corn chowder for a new twist on the summer classic. Turn this easy, no-cook soup into a light meal by adding poached shrimp. 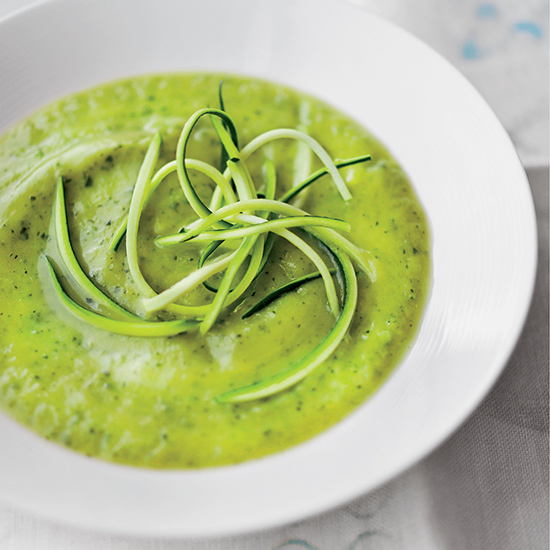 F&W chef-in-residence Grant Achatz makes this simple, luscious soup without any added cream. Adding sweet onion cuts the acidity in this bright tomato soup. Yellow tomatoes star in this sweet, tangy gazpacho. This delicious soup is a great way to use summer peaches. Filled with herbs, nuts and raisins, this healthy soup is excellent with grilled bread.